Fathers Need More Than A Day | Kalijarvi, Chuzi, Newman & Fitch, P.C. 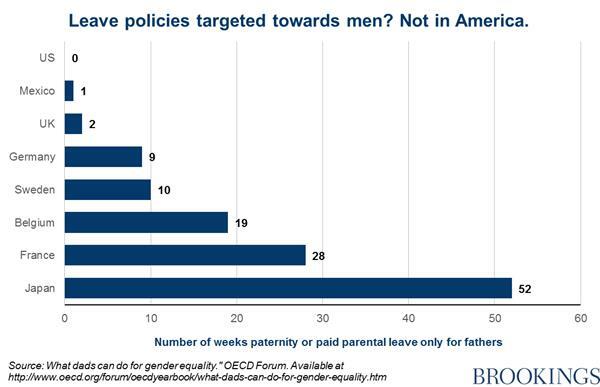 In the wake of Father’s Day, it seems apt to reflect on the state of paid paternity leave in the United States and the resounding negative effects that result from having piecemeal policies—where policy exists at all. It is the Equal Employment Opportunity Commission’s positionthat leave related to pregnancy, childbirth, and/or related medical conditions can be limited to women affected by those conditions. “However, parental leave must be provided to similarly situated men and women on the same terms.” Id. For example, if an employer extends leave to new mothers beyond providing medical leave for women with pregnancy-related conditions (e.g. to provide mothers with time to bond with and/or care for their newborns), the employer cannot lawfully fail to provide an equivalent amount of leave to new fathers for the same purpose. Id. “Although Title VII does not require an employer to provide pregnancy-related or child care leave if it provides no leave for other temporary illness or family obligations,” the Family and Medical Leave Act (FMLA) requires covered employers to provide such leave. Id. Paid time off for fathers, however, is not commonplace. 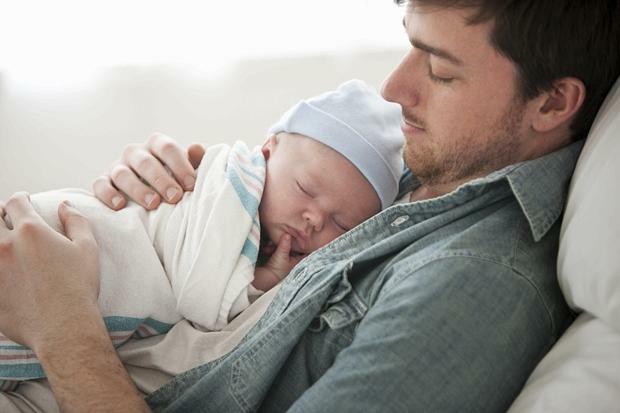 Fewer than 20% of U.S. employers offer paid paternity leave. Id. In an online poll of 1,000 employed adults across the U.S. with access to employer benefits: more than 1/3 thought taking leave would “jeopardize their position” at work; more than 1/2 thought spending time with their newborn would be perceived as a lack of commitment; and 41% feared losing opportunities on assignments at work. Family leave has often been framed as a “women’s issue”, an assumption that fuels workplace discrimination against both genders: “Mothers are seen as caretakers who prioritize home life, and fathers who take more than a week or two off are perceived as less serious about their careers.” In fact, economists attribute the gender wage gap and lack of women in top leadership positions in part to this parenting imbalance: fatherhood is associated with a 6% wage bonus, while motherhood carries a 4% wage penalty. Id. Additionally, men might have less to worry about than they think. Research has found that having a child improves men’s careers, their earnings increasing by more than 6% for each child they have. While part of that narrative stems from fathers being seen as responsible (while moms are viewed as distracted), it also results from fathers not taking time off to have kids. Although “parental leave policies are designed to level the playing field between parents, they only work as intended if men take advantage of the time they’re given to devote to childcare.” Cognizant of the fact that having access to paid paternity leave is not the same as taking it, “[s]ome European countries and the Canadian providence of Quebec have begun offering up to several months of paid parental leave specifically designated for fathers, instead of providing couples with shared parental leave to divide as they choose.” Fathers with access to specifically-designated paid parental leave take paternity leave at higher rates than those where leave is discretionary for either parents—especially when that leave also has higher levels of income replacement. Ensuring that both parents are provided some form of paid paternity leave is something that needs to be stressed as a culture. Certainly, fathers—and the families that they share in raising—need more than a day. “Nearly half of workers surveyed in 2012 who needed leave but didn’t take it reported not taking leave for economic reasons. More than three in ten individuals who received partial or no pay reported cutting their leave short of what was needed, and more than four in ten would have taken longer leaves if they had received more pay.” Dep’t of Labor, DOL Policy Brief: Paternity Leave, Why Parental Leave For Fathers Is So Important For Working Families, June 18, 2015, at 3. Employers vary in the amount of time offered. “But even within a company, a policy may not apply equally to all fathers at a firm. Sometimes hourly employees aren’t included or their benefits are less generous than those of salaried workers.” Jeanne Sahadi, Reinventing Work: Dads get more of a (paid) break at work, CNN Money, June 17, 2016. A more equal division of labor in terms of parenting and childcare; more equal sharing of domestic labor, including housework; less stress on the family; closer father-infant bonding—leading to better developmental outcomes for their children (including fewer behavioral problems and improved cognitive and mental health outcomes), id. at 2; and higher pay for mothers (according to a Swedish study, future income for new mothers rises by 7% on average for every month of paternity leave taken by the father). Richard V. Reeves, Give fathers more than one day: The case for paternity leave, Brookings, June 17, 2016. The new legislation passed in early April 2016. “When fully implemented, the state’s program will compensate parents for up to 12 weeks of leave.” Camila Domonoske, A Big Week For Parents: New York State, San Francisco Establish Paid-Leave Laws, NPR, April 6, 2016. “California covers 55 percent of an employee’s wages for up to six weeks; New Jersey, up to about 67% for six weeks; Rhode Island covers a portion of wages for up to four weeks, based on the employee’s income. Each state’s program is funded through an employee payroll deduction, and payouts are capped.” Id. Although Washington State passed a paid-parental-leave law 10 years ago, it has not gone into effect due to lack of funding. Id.